Hi I'm dropping a 4efte out of a Glanza V into my 4WD EL55 corsa. 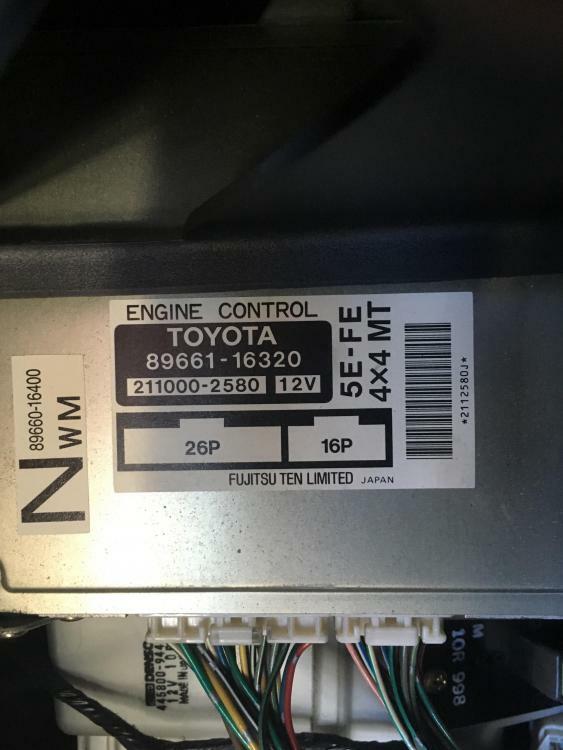 I'm having trouble finding an ecu diagram of the pinouts for this ecu (pictured), does anybody know if the pinouts will be the same as the standard starlet 4efe/5efe ecu? If so, would the easiest way to get it all running be to use a starlet GT 2 plug ecu since most of the pinouts are the same and just run a few extra wires for what is missing?